We’re happy to announce an update to Nava SIEM Agent, our cloud security and audit log retrieval solution. Since Nava SIEM Agent is a relatively new product, we want to answer some frequently asked questions about it in this post. The changes will cumulatively result in better security, improved stability, and scalability to millions of events. 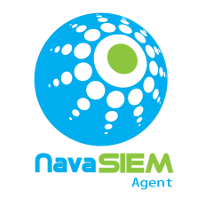 For full release notes, please visit this page: Nava SIEM Agent 1.1 release notes. What are some common use cases for Nava SIEM Agent? Google Apps retains audit logs only for 180 days, after which they are gone. Help perform IP reputation analysis, by comparing IP addresses in audit logs with a database of known malicious IPs. Help perform offline forensics, without requiring access to the cloud provider. Help aggregate logs in a centralized logging server.